Click the button below to add the All Better Body Wraps - Multipurpose to your wish list. NEW AND IMPROVED WRAPS ARE NOW STRETCHY, BREATHABLE AND SUPER COMFY! It contains a round extra thick insert for ultimate results! Due to its ACE BANDAGE TYPE STRETCHINESS, IT CAN EASILY BE WORN ON DIFFERENT AREAS OF THE BODY INCLUDING higher up on the back or sash style over the shoulder. The NEW discovery is you can turn it around with the insert section on the our livers need extra support with all the toxins in our food and water and need as much love as possible. If the body had enough life force energy, it is believed it would quickly repair, re-balance and regenerate itself. Notice comforting support in less than five minutes. These Wraps may feel like a MODERN MIRACLE, however, YOUR BODY gets all the credit. Our bodies are fine machines and know how to run perfectly. They are simply lacking the life fuel they need to operate at full capacity. Imagine the percentage of our brain use, speed of recovery and rejuvenation (reverse aging) if we had enough life force energy. The Earth Mat inserts in these wraps contain all the advancements of: Double Stuff, Puffy Crystal, Zeolite and Super Shrunk formulas! The Double Stuff Formula contains double the stones, Flower Essences, Essential Oils and Liquid Crystals, making the Earth Mat material extra potent with the yummy earth ingredients! Super Shrunk aids in compressing the tiny quartz spheres to amplify the piezo electricity! What is this SUPER FUEL? Bio Available Energy. Nature has a perfect mathematical formula for generating POWERFUL life force CREATION energy. It's called the Golden Measurement or Phi. Just like plugging in both sides of a battery, EVERYTHING in Nature brings the (+) male and (-) female polarities together in a specific ratio. The swirls on a pine cone are in a ratio of 8 (-) swirls UP and 5 (+) swirls DOWN. Wherever these polarities cross, LIFE is created. A SEED! There are devices now that can measure this creation energy. It is the 1.1 Frequency. 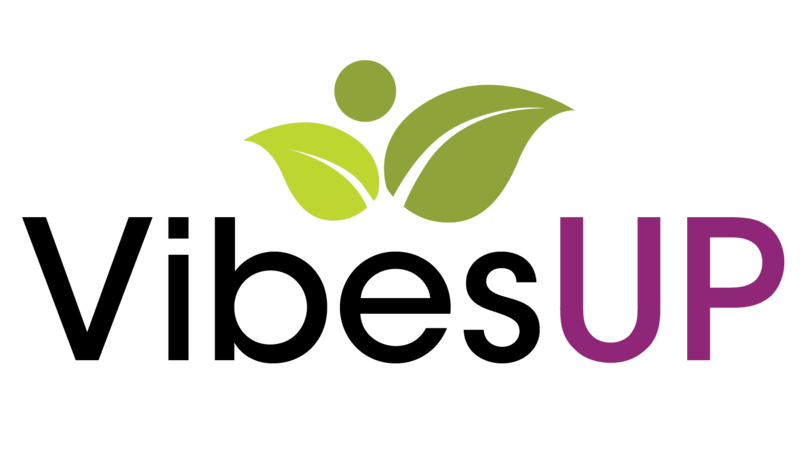 VibesUP formula brings all the Nature ingredients of Essential Oils, Flower Essences, Gemstones and Liquid Crystals together in this same 8 to 5 ratio. IT WORKS! Tests show it generates this same 1.1 CREATION ENERGY. This special energy is Bio Available, which means our bodies can easily absorb it and utilize it. It is SUPER FUEL. Wait until you feel what your body can do with it! WHAT ARE THE TINY NATURAL BATTERIES? It's called Piezo electric. When gentle pressure is applied to quartz crystal, it gives off over 1 million tiny rays of infrared energy per second! This special squishy material gives the crystals inside a constant hug helping them work like tiny little infrared batteries that never run out of good energy and can deliver the 1.1 Frequency INFRARED DEEPLY, bringing your body what it LOVES and where it LOVES it. NOTE: Do not wrap so tight as to cut off circulation. IMPORTANT: These are not designed to replace medical care; please seek professional assistance when needed. 8" Partial insert option: BEST for back/ side of neck, wrist, ankle, arm, calf or front of knee. 20" Full insert option: BEST for around head or if coverage of back of neck and throat at the same time, around ankle, arm etc. Susan came in with her son and was so skeptical so I asked her if she had pain anywhere and wanted to do a pain experiment. She said her knee was terrible. I put the ALL PURPOSE WRAP on her knee and in about a minute or two she took it off handed it to me and said 'No, I don't think this will work for me". I encouraged her to put it back on and try it a little longer. WOW! in about eight minutes she started literally prancing around the shop yelling out 'SON! SON! OMG! SON! LOOK AT ME, NO PAIN!" Then she insisted I video her because others need to know about this..THANK YOU SUSAN for being so sweet and not giving up the first time. YOU ROCK! I am young yet have had 4 knee surgeries without much relief. I am lacking the cartilage in my knee. I was of course willing to try the VibesUP knee wrap my friend Cheryl gave me. I slept with it the first night and to my surprise the morning 'stiff knee' that made it hard to walk when getting out of bed was MUCH better. I thought, "Wow, that was fast!" My knee's are what you would call 'shot' and I am busy mom, so I have added the knee brace into my daily life, not just for instant relief, but I also feel it is feeding my knee something it wants. OH and it is so much more comfortable than the heavy brace I had before! Thank you! I now have more 'get up' in my go go lifestyle. I have Carpal Tunnel Syndrome or De Quervain's syndrome. 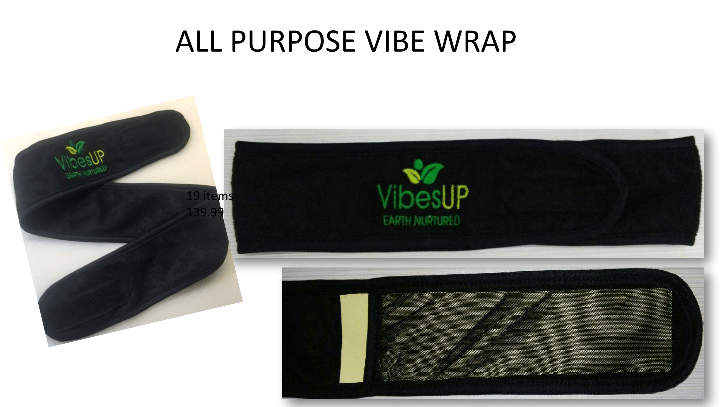 I wanted to give you an update on how the VibesUP wrist wrap was going. . I used to have to take at least 800 mg of ibuprofen a day and was worried that I would turn into an ibuprofen junkie. I was able to cut that WAY back even the first week of wearing the wrap. It has helped with work too as my co-workers had been getting used to me wincing out in pain and I used to have to take a week off work every month and had no income for that period, so definitely your wrist thingy is worth it. I thought the stuff was kind of airy fairy but now am convinced that they work and I am looking forward to purchasing more of your products in the future. PS: Also, your affiliate program is one of the only affiliate programs that really works. I know as I have tried a lot of them and this is the only one that I have enjoyed success from, so keep going and keep up the great work.You have permission to use my testimony. I am a good friend of Kaitlyn's and have been cheering her on with the VibesUP from the beginning. But I love and use her products because they work. I was happy when she came out with the wraps because I used to try to hold the mats on my tummy and the back wrap has the mat built in. I have a sensitive stomach that is often a challenge and when I put the mat there I feel so much better not just with function of my stomach but as a bonus I find the puffy, bloating goes down. I love and use a lot of her products but the sleep mask is another favorite. At first I thought there was something wrong and there was sand coming out of the mask, but later realized it was actually pulling gunk and detoxing my eyes. I feel my consciousness expanding and I am excited to say I even notice a reduction in the under eye circles and puffiness. 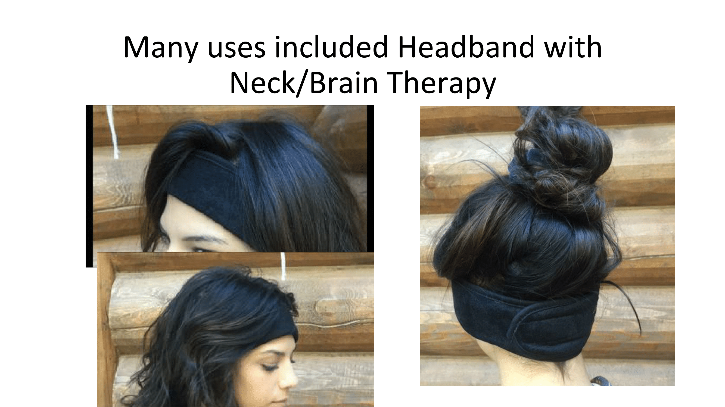 The back wrap is an extremely versatile tool. Usually long car drives leave my lower back in pain. I wore the back wrap on the 10-hour drive home and the pain was totally non-existent at the end of the trip! I’ve found that pain reduction - or in my case, elimination - is just one of the benefits of the wraps you offer. Because the wrap is adjustable I moved it to my upper chest to work on a kink in my upper back (back heart chakra) and put one of the Plate Mats in front over my front heart chakra. WOW! Instant Love and balancing. As with the coasters I could feel the energy moving in that figure 8 formation through both front and back heart chakras of my body. Adding the knee wrap on my right leg immediately turned on the “release valve” assisting the low frequency energies to drain out into the earth for neutralizing. When I moved the back wrap up and draped it over my shoulders there was an immediate relief of tension in my shoulders. I like wrapping it around my shoulders so the mat inside is on my upper back and neck. It is incredible how much energy balancing occurs almost instantly! I only worked with the ankle wrap a short time but I immediately felt the grounding effect created by putting it on. Because we receive energies through the left side and send out energies through the right side, having both the ankle and knee on the right leg removed so much energetic baggage so quickly. Moving them to the left side makes for an incredible flow of creative energy. LOVE IT! !